If you want to have a really special business, well . . . I know it’s obvious, but I’ll state it anyway: the product has to be really special, too. I’m not saying it has to be expensive. Just special. Exceptional. Engaging. Interesting. Better still, unique. 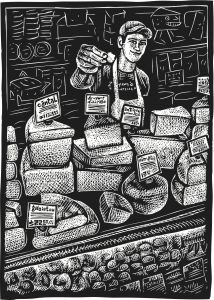 (Or at least unique to your part of the world—pimento cheese is found in just about every kitchen in the South, but in Ann Arbor you won’t find it anywhere but Zingerman’s . . . at least not yet!) Put something out there that people will get excited about, take note of, talk about, and want to actively get behind, through good times and bad. I’m sure there are exceptions to this rule, but almost any great company that comes to mind was built around a special product or service. 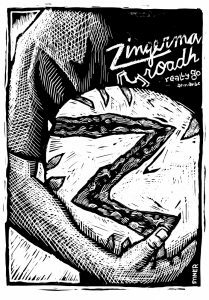 An excerpt from Zingerman’s Guide to Good Leading, Part 4: A Lapsed Anarchist’s Approach to The Power of Beliefs in Business, Secret #41. It’s not easy to stay positive in a world in which we’re surrounded by cynicism, knocked down by tragedy in the news, trying to work through illness and uncertainty in our personal lives. But even a mindful and imperfect effort to keep moving in the right direction makes a difference. We feel better when we’re walking the path we chose to be on, regardless of how hard it may be in the moment. Emotional resilience gains respect, which builds inner strength. If you believe, as I do, that there’s some good and some not so good in most situations, it can be challenging to quickly identify the upside. I was raised to focus on finding the flaws first, then argue about the right answer, and finally fix what was wrong. I know I’m not alone in that. Rebecca Solnit notes, “Yiddish can describe defects of character with the precision that Inuit describe ice or Japanese rain.” American Jews swapped Yiddish for English, but the thinking process didn’t change. I learned how to argue, how to think quickly, how to push forward through adversity, how to have emotional resilience. A small story from my childhood comes to mind. When my grandmother used to go shopping, she was sure that most shopkeepers were out to cheat her. She was very diligent—watching their work for short weighting, or in case they should try to surreptitiously slip in some subpar product. She’s not the only one—when I go to markets I often see people digging through piles of produce to find just the “right” piece of fruit or ear of corn. 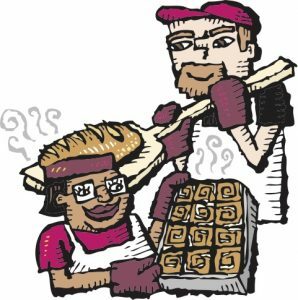 If you look up at the vendors while their customers are doing this, sometimes you’ll see them smirking slightly and biting their tongues. My own approach is the opposite of my grandmother’s. Instead of treating the farmers as potential antagonists, I appeal to the farmer’s expertise and integrity. When they ask me which pint of peaches I want, I ask them to just give me the one they think is best. I can’t prove that what I get is any better than what my grandmother got. But I’m confident that my life is less stressful and that going to the market is a much more enjoyable experience for me. • Use the Three and Out Rule. This is a little self-management mechanism I made up a few years back and wrote about in Part 1 (on page 214, if you want to see it in the original). It’s such an eminently effective tool that I couldn’t stand to leave it out of this piece just because I’d already put it in print earlier. It goes like this: When I feel my energy sliding into the negative realm, I find someone around me—whether in person, on the phone, or via email—and I thank them. Sincerely. For something that they’ve done that I honestly appreciate. I always get back positive energy from doing this. Then I immediately find someone else and do it again. Bingo. I get back more positive energy. Within a matter of minutes, I repeat my act of appreciation a third time. Voil.! More good energy comes my way. In the face of all that positivity, I simply cannot stay in a bad mood. The smiles, the warmth, and the wealth of good feeling that others give me for having unexpectedly appreciated them always turns my day around. And, if my mood gets better, consider the impact on the rest of our organization. Talk about time as an investment. What better use of 10 minutes can you imagine than doing the Three and Out Rule? Try it out. Three and Out is great stuff! • Try the Three Good Things exercise. I learned this one from positive psychologist Martin Seligman. Every day write down three good things that happened to you. Then, for each, answer these questions: Why did this thing happen to me? What does it mean to me? How can I have more of it in the future? I’ve used the technique myself and taught it to others, too. It works. Over time, people build the habit of seeing more of the good things that were there all along. And guess what? More good things start to happen all the time. • Flood with positivity. Noting three good things daily works well over a period of weeks. But sometimes, when I’m in a dark space, I don’t have time to wait. This technique can turn my day around in a matter of minutes. I just pull out my journal and start listing all the good things I have around me and in my life. It’s the emotional equivalent of flooding rice fields. The water kills off the weeds. By the time I’ve listed like 20 or 30 great things, I’m usually back to a more centered place. The whole process generally takes me less than five minutes. • Offer appreciations at the end of meetings. When you’re getting ready to wrap up any formal group meeting, pause for four or five minutes of appreciations. Anyone in the room can appreciate anyone or anything they want. It’s informal and no one is required to speak. Most people usually do, though. It’s a great way to get ourselves focused on all the good around us before we head back into the day-to-day work world. (For more on how we do it, see Secret #13, in Part 1.) We’ve been doing this for 20 years now, and I swear by it. It’s simple; it’s free; it requires no software license; and other than possible awkwardness the first few times you do it, it can’t fail. Without effective followers no leader will get anything of consequence completed. The key is that followership shouldn’t be tied to hierarchy any more than leadership is. Regardless of who’s leading on any given day, others of us will need to follow. Just as frontline staff will be better off for learning to lead, so, too, will I and others at “the top” be better off when we’re learning to be good followers, getting on board and supporting constructive initiatives being led by others in the organization. What’s different in this model is that each of us can lead and each can follow, and we all need to be good at both roles; it’s not always easy, but I think it’s ultimately and infinitely more effective. 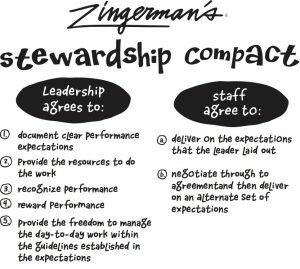 Excerpt from Zingerman’s Guide to Good Leading, Part 2: Being a Better Leader. Throughout this work, I’ve adopted a few sayings and techniques that help me to get past my initial desire to be right or run roughshod over the person I’m negotiating with, and that help get the two of us to a quicker and better outcome with a lot less stress en route. While none are guaranteed to work management magic, all six have been hugely helpful to me. On the chance that they might be of value to you, too, here they are. a. When furious, get curious. Paul taught me this one twenty-five years ago. I use it all the time, almost always with great results. The more frustrated I get, the more I try to make myself ask questions. b. Curiosity is the antidote to awkwardness and antipathy. No matter how uncomfortable things may seem when we start, the more curious I can make myself, the sooner I get past my own problems and am able to hear what the other person is saying. c. Active listening is essential. It doesn’t mean I have to agree, but I do need to make sure I’ve heard what they’re saying and actually understand their message as they mean it to be understood. d. Get on the same side of the problem as the person you’re negotiating with. If we talk as if we’re at odds, conflict almost always ensues. But when we work together to attack the problem, we can usually come up with a creative solution. e. When in doubt, take a time out. They work for kids, and I think they work just as well for everyone else, too. f. Never act in anger. You can (and will) certainly be angry. Just don’t make decisions and act on them while you’re angry!